It is that time again. An anniversary of sorts. Not the kind that is celebrated. The kind that reminds us that all is not well in the world. 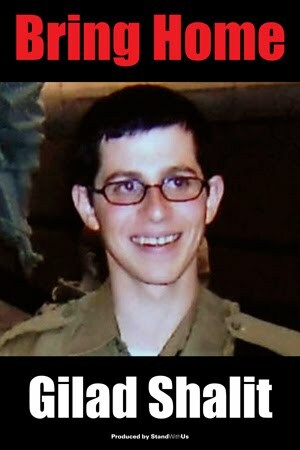 June 25, 2006, Gilad Shalit was captured in a cross-border raid. He was the first Israeli soldier captured since 1994. Hamas has custody of him, and it is believed that he may be in the Gaza area. Hamas is demanding a release of all women and children prisoners as well as about 1,300 high ranking Fatah members who have already been tried and found guilty to be released as well. In the four years he has been held captive, no one has been allowed to visit or witness his conditions. The International Red Cross has been denied access. Hamas has only been allowed three letters and one video to be released in all the time he has been held. In 2007, B'Tselem issued a statement saying "international humanitarian law absolutely prohibits taking and holding a person by force in order to compel the enemy to meet certain demands, while threatening to harm or kill the person if the demands are not met", and thus holding Shalit as a hostage to their demands is a war crime. It doesn't matter what side of the fence you are on. If you are human, and you contain a drop of compassion in your soul, then please send your good thoughts, prayers, energy out to Gilad Shalit today. He needs to come home.